We are a complete end-to-end event registration and ticketing platform. We offer two main services - Online event registration services, and onsite event check-in services. Customers may choose to use both of our services for end-to-end seamless registration management, or just either one. 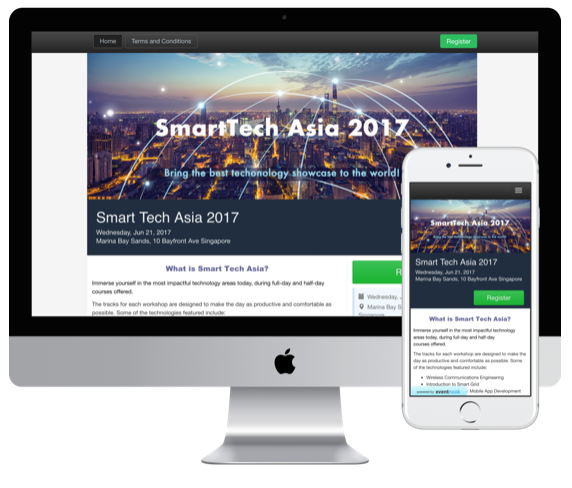 The organisers first create an event site. This is an easy process, taking less than 5 to 10 minutes and allowing them to set up their own professional looking, mobile friendly event website with just a few clicks. 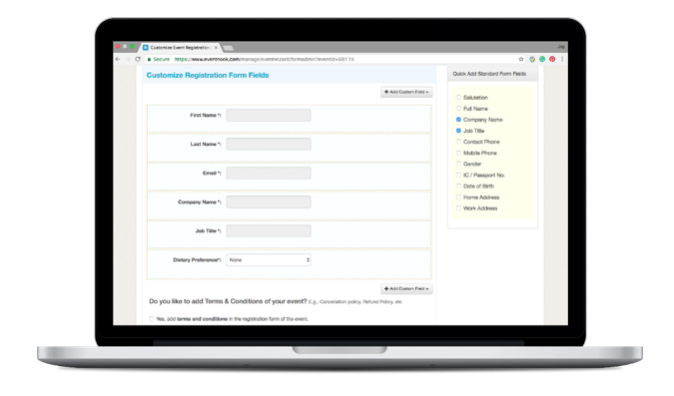 Would allow you to customise the online event registration form, to collect what is required of your attendees. Would allow you to create various ticket types, and offer different kinds of discounts (such as group discounts, discounts for particular ticket types, early bird tickets and many more). Allows easy online payment, via PayPal or Stripe, straight into your bank account. Sends attendees confirmation emails along with a QR code e-ticket upon successful registration. Attendees use this QR code e-ticket to check into the event. Allows you to customise thank-you emails, reminder emails, and other general emails to your attendees. Allows you to manage event registration and sales in real time. You can create your event site once you have signed up for an account with EventNook. Event attendees check themselves into the event using their QR code e-ticket. QR Code scanning usually takes less than a second, and name badges for the attendees are printed instantly after their ticket is scanned. The EventNook Kiosk app allows for easy event management, and keeps track of all registration and attendance on the event day with real-time status dashboard report and analytics. EventNook also provides customers who require only onsite registration - onsite event check-in and badge printing services. The customers can upload registration in bulk and send out QR Code eTicket via email to all attendees. These attendees receive registration confirmation emails along with QR code e-tickets to allow then to check-in on event day.